A Journey of Reinvention: Wonder Word Powers ACTIVATE! "You are a beautiful and unique creature, and I think you are pretty incredible." "You're a stupid jerk who can't ever do anything right." In case you've never really thought of it before now (and many of us haven't), your words have power. No, you can't speak some words and have an entire universe come to life, but you can most certainly feel the difference between the two sentences above. Each of them elicits a distinct emotion, and each of them has the power to bring you up or bring you down. Take a look at bullying for a moment. I'm not talking about the guy who shoves you down and takes your milk money because he's bigger than you are. I'm talking about the people in your life who bring you down because of what they have to say about you. The ones who never compliment you. The ones who tell you things about yourself that you already feel insecure about. The ones who point out your flaws. The ones who make themselves big by making you small with their words. That kind of bully. Now take a look at someone in your life that you always feel good when you're around. The person who encourages you, who stands up for you, who smiles and reassures you. The person who can brighten your day with just a word -- whether it's a funny joke, a sincere compliment on your outfit or your hair, or a statement of gratitude just for you being YOU. Words have power. And we tend to brush over that fact because we don't want it to be true. We want to say what we feel like saying, whether it's to someone else or to ourselves. But our own attitudes reflect the words we have to say about ourselves and our lives. I've often said that negativity breeds negativity, and positivity breeds positivity. You're obviously going to want to hang out with your friend who brings you up with their words way more than you'll want to hang out with a bully who does nothing but make you feel bad about yourself by their words. So why would you be a bully to yourself or to others? "My life is terrible. Nothing good ever happens. I don't even want to wake up each day. Whenever something good does happen, five more things happen to mess it up. I'm a freak of nature. I'm not good for anything. This is the worst thing that's ever happened to anyone. I hate this." Nothing in that chunk of words brings hope, joy, or positivity to yourself or to anyone else around you. "Life is rough but it's certainly better than the alternative! Tomorrow's bound to be better. I can handle this. God's got this. I love a good, therapeutic cry. I accomplished so much today. I'm positive things will turn around. I have some great people in my life. One good thing that happened today was that I got to sleep in! I love Springtime." Though you can clearly tell by that chunk of words that things aren't perfect, the speaker chose to dwell on the positives rather than the negatives. Choosing your words can align with choosing your attitude about a situation, conversation, or person. Choosing positivity above negativity is always the best choice we can make. Engaging in negative talk about yourself or another person will only feed into that attitude more and more and we aren't called to be purveyors of sadness or despair. We're called to be joy-bringers, harbingers of hope, and to live love. "...if I talk about lack, sickness, things I am angry about, and problems most of the time, then the 'word seeds' I am sowing will actually produce a harvest of more of the same. On the other hand, if I choose to talk about provision, health, forgiveness, God's goodness, and faithfulness, I am sowing seeds that will produce a good harvest according to the seed I am sowing with my words. A farmer doesn't plant a tomato seed and expect to get broccoli, and we should not plant word seeds of bad things hoping to get a good harvest. Once we truly understand that principle and act accordingly, we can change our words and therefore we can change our lives." Don't believe it? Don't knock it 'til you try it. Choose a day this week and, for a 24-hour period, don't breathe a word of negativity anywhere -- including to yourself. Speak good things in your mind and from your mouth. Compliment people. Don't think about or talk about people you dislike or, if you do, speak only positive things about them -- bring up only their good points or good hopes for them and their future. Don't point out flaws, but do point out things you like. Bring up your significant other by telling them what you like about them and don't nag them about the things that annoy you. Talk about your day in terms of what went right and talk about tomorrow in terms of what will be better. At the end of the 24 hours, see how you feel -- and see how other people around you feel. Your words have the power to help someone stand or to knock them down. 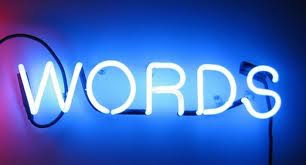 Your words have the power to help you live or to place your own stumbling block in front of you each and every day. Your words have the power to bring joy, peace, and love into someone's life or to bring misery, strife, and even death to them. It's all your choice. It's all in your voice.